It’s T-minus 21 days until Colorado Rockies pitchers and catchers report to Scottsdale for Spring Training. As the 2018 season approaches there’s overwhelming excitement buzzing around the team, even for this year’s promotional items. A staple at ballparks across the country, promo items are always enjoyed by fans of any age. This year, Coors Field is set to give away bobble heads, rally towels and even light bulbs in 2018. What might be considered the crown jewel of the 2018 giveaways? 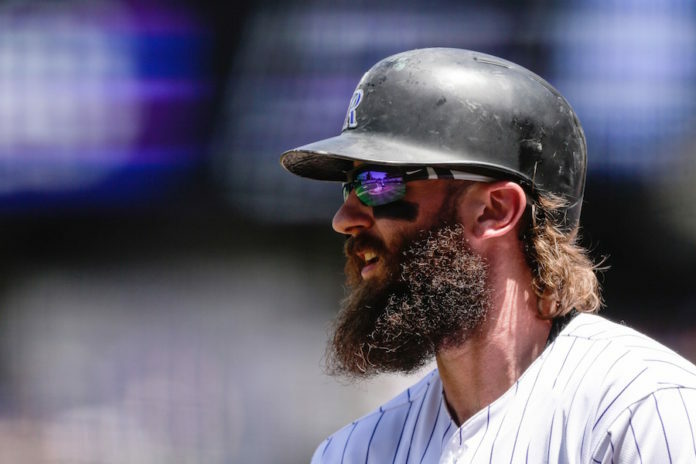 Charlie Blackmon will be honored as the 2017 N.L. batting champ with a bobble head giveaway on Sunday, April 8 when the Rockies host the Atlanta Braves.
? Peek at our first release of the 2018 Rockies Promotional Schedule. The Blackmon bobble head will be available to the first 20,000 fans through the turnstiles. This is the second year in a row the Rockies get to release a batting champ bobble head, after D.J. LeMahieu won the batting title in 2016. 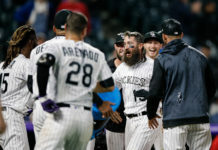 Tickets for Rockies home games will also go on sale to the public Wednesday on the team website. Select game tickets are currently on sale for Rockies Insiders.